May 15 Update: starting location changed to parking lot at Peace Arch Park to accommodate the parking needs of the vehicular. We have a “coyote” who will guide us through the border area (on bikes) to get us to 0 Avenue to the start of the ride. afternoon and they will save them for us. If you do not get your request to me in time, you run the risk that your chosen tamal will not be available or, worse, no tamales will be left (I may share a Clif bar, but not a tamal, even friendship has its limits). As we do not get to Ferndale until 52km, I suggest you bring some aqueous and calorie supplements to be sure you can stay happy in the saddle. Also, since we will be riding a more rural route, it would be wise for you to bring more than the mandatory replacement tube, tire levers and pump to keep your ride rolling. 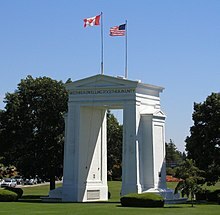 Note: the starting point is NOW the usual parking lot at Peace Arch Park, but you still need to bring your PASSPORT or you cannot ride into the US at Aldergrove (and I cannot comment on the rumours that ICE agents may be hanging around Mexican restaurants). 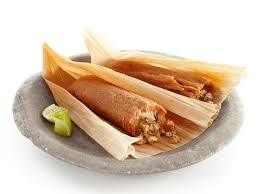 RSVP: Email Will what tamales you want to have ordered before 4pm on Friday, June 15. This entry was posted on Sunday, May 13th, 2018 at 10:26 am and is filed under Old Rides. You can follow any responses to this entry through the RSS 2.0 feed. You can leave a response, or trackback from your own site. Thank you to Teresa for a great job leading this ride, and to the weather gods for a glorious day. So glad that we had a full dozen for the ride, including our newest member, Ted. Welcome Ted, looking forward to seeing on more of rides in the future. Thanks to Will for organizing a great ride and tamales lunch, ensuring noone went hungry by submitting our order early. Extra kudos to him and David for riding to the start. Whew! Thanks also goes to Cameron for sweeping, and Gwyn for photos. Rob Ralfs, whose route was modified for this ride, deserves thanks and credit. We lost one rider for a time, but using his powers of hunger and thinking fast with his stomach, he managed to locate us at the lunch stop.